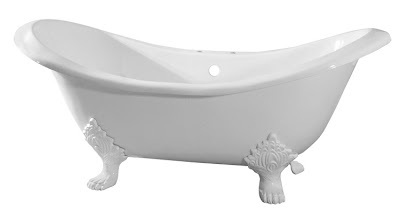 Vintage Tub & Bath catapulted into the national spotlight with its signature double slipper clawfoot tub on a recent episode of HGTV’s Dear Genevieve. The episode aired on Saturday, January 15, in Montclair, New Jersey, a couple’s incongruent bathroom layout was transformed into a luxurious bathroom getaway with a Turkish bath flair. The show’s host, Genevieve Gorder custom-ordered the cast iron tub from Vintage Tub & Bath to replace the small, five-foot garden-style acrylic tub originally in the couple’s bathroom. Not only did the tub enhance the “fantasy-like” ambience of the remodeled room, but it provided functionality, which was Genevieve’s goal of the makeover. A showpiece that is more than eye candy in the bath is what the signature 72-inch double slipper clawfoot tub provides. 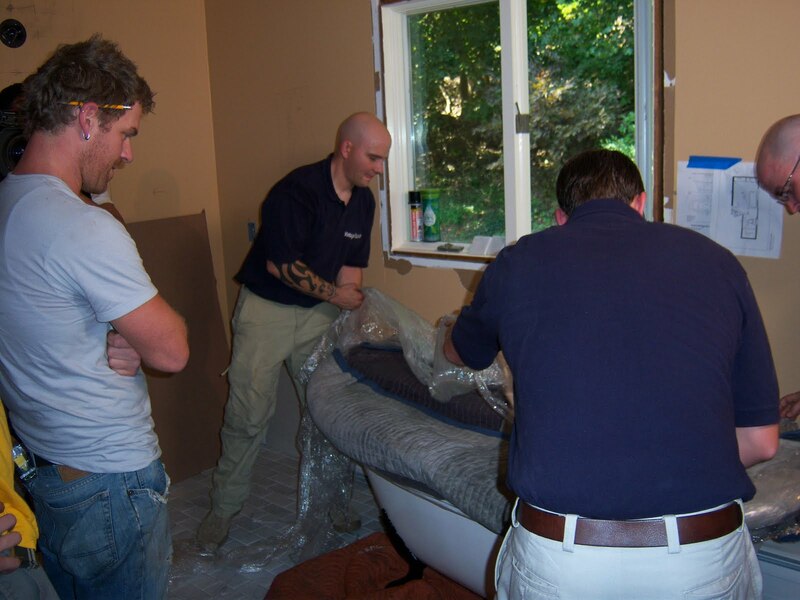 The Vintage Tub & Bath team delivered the brand new tub to the home in September 2010 during the taping of the show. With precision and care, the Vintage Tub team carried the tub up to the second floor bathroom and installed it to the specifications of the HGTV design team. When Genevieve first laid eyes on the 72-inch double slipper tub, her hazel-green-colored eyes widened and jaw dropped open as she gasped, “It’s gorgeous!” The homeowners, Trevor and Gerthy had a similar reaction when they stepped into their lavish, new Turkish bath in their own home. “This is a tub you can soak in all day!” exclaimed Trevor. The episode concluded with Gerthy and Trevor relaxing in their new Randolph Morris cast iron double-slipper clawfoot tub as they called their friends to tell them all about their new bathroom oasis.